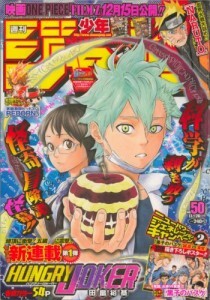 Weekly Shonen Jump Issue #50 is a big one! 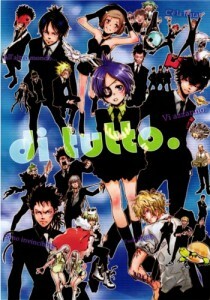 The official end of Katekyo Hitman Reborn! after an 8 year run and the start of the 2011 Golden Future Cup winner Hungry Joker. Plenty of good chapters this issue and a little bit more news concerning some series at the end of the review. Let’s kick off with the finished series. I’m going to go straight out and say that I wasn’t impressed with the ending. There was no sense of closure and the disappointment of not knowing whether Tsuna will enter the mafia world or not was just too much. Simply put, it was too happy and stereotypical “shonen friendship over all.” I would have liked to see something more out of the ending than a simple return to the manga’s original style. 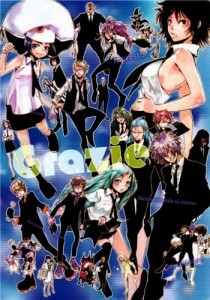 Looking back, Katekyo Hitman Reborn! was an interesing manga. Often chastised as having a poor story and over-reliance on artwork, it never got much praise. I would agree with the lack of praise, had this manga originally started out as a gag manga and then turned into a battle manga. Reborn! certainly had its ups and downs but it managed to provide something that kept me interested in it long enough not to drop it. By no means will this manga be making my list of series to reread but it wasn’t a bad way to pass a few minutes each day catching up on and eventually a minute or two a week to read. Akira Amano deserves more praise than she got for this series and I do hope that her next work will be great. Every now and again, One Piece decides to turn up the volume on the serious side and give us an emotional chapter such as this one. These chapters are powerful to say the least and always leave an impression on me, which is why I always tend to remember them, but reread them. It’s often easy to forget how many real world themes One Piece uses in its story. Yes the manga is sometimes just pure fun to read but it’s deeper commentary on some real world issues such as experimentation on humans, slavery, monarchy etc. get lost in the mix. Chapters like these are proof that when it wants to be, the series can be powerful and evoke some serious thought and emotion. In my memory, this is one of the few times we Chopper getting worked up. He is a cutesy character that’s always supporting the crew but rarely getting angry or frustrated at the situation. For him the issue of medicine being used in such a manner really hits a nerve and his compassion really comes alive in the setting. You feel the sorrow, you feel his and Mocha’s pain and you get worked up as well. 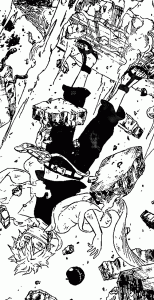 Perfect timing for Luffy to enter and to stir things up! 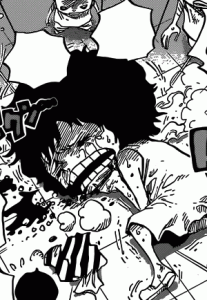 Luffy’s passion always depends on his nakama, and no doubt that he’s about to let loose. I’m really looking forward to the next chapters. 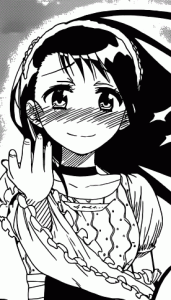 The Onodera fan in me wants to love this chapter, but when I think about the big picture I don’t get as excited. Nisekoi really should have entered its finishing stages in my opinion. I can’t deny that seeing Raku step up and be a man (once again) was gratifying because of my fondness of Onodera and because he continually gets better as a male lead. The outcome of the chapter was just the right amount of cute mixed with romantic development. Now it looks like the “real” romantic story of Nisekoi will begin and I’m assuming we’re going to see the competition within the harem really heat up and become something. Supposedly, the story until now was all about getting all the girls in the harem to admit to their feelings, the last girl being Chitoge. One can only imagine if we’ll finally get to see more in terms of actual romantic development and not just the ones which end in a comedic way. Right now I’m waiting to see what happens. For me it can go either way at this point, but history tells me Komi-sensei will surprise me somehow. Kind of a trademark chapter this one. Naruto yet again manages to inspire his sensei to push through and to not give up until the end. 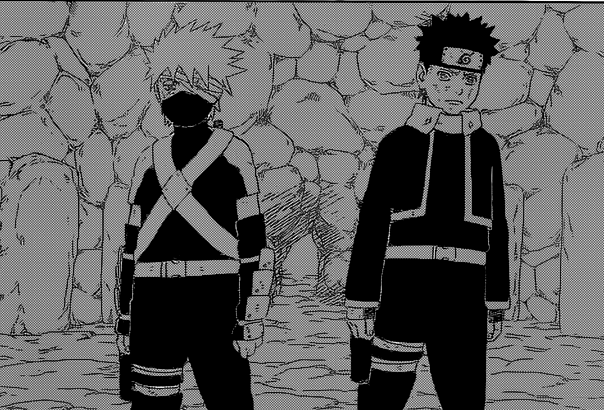 Great action this chapter between Kakashi and Obito. Plenty of exciting moments interspersed with some relatively corny dialogue and plot developments, which isn’t unexpected.from this series. Naruto’s selling point as a character has always been his ability to change/inspire the people around him, and in this case it’s another one of his teachers. Understandable that Kakashi would need this after being shaken up, but a part of me just didn’t get much out of this chapter. When Jiraiya was inspired by Naruto’s attitude on his death place, that was powerful. This felt more like a cheap way to use the same plot device in order to make Naruto seem like an even better character. Not an inspiring chapter, but there was decent action to keep me satisfied. Emotional in a different way, Bleach also delivered a serious chapter this issue. It’s easier for Bleach to show off its serious moments because unlike One Piece, this series has an overall dark tone to it. That still doesn’t mean it can slack off and by no means did it do that. There was some comedy, but nowhere near enough to distract from the raw emotion of the chapter. 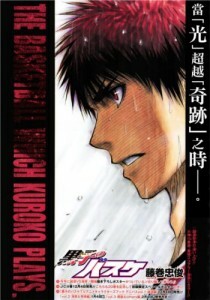 The loss of a major character such as Yamamoto was bound to have great effect. The captains are restless and divided in thought, which means they need a leader to unite them and something tells me, we might be getting one soon enough. Kyourako really came through as opposed to being calm and quiet like he usually is and it only makes sense seeing as how he and Ukitake were the closest to recently deceased Yamamoto. It’s very likely one of the two will end up as the commander-captain and for now that seems like the most important issue at hand. 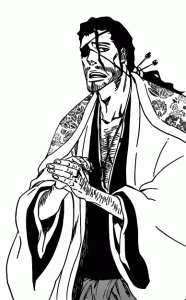 A part of me is really glad that Kenpachi and Byakuya aren’t dead, although Byakuya I could have done without. Nothing personal, just his final moments were mesmerizing and now that he’s survived it makes it feel like a waste of a precious moment in Bleach‘s timeline. Time to regroup and form a plan Gotei 13. Let’s see how you fare after loosing such a powerhouse. Laughter in heaps, but not much to write about. This is yet another great comedy chapter of Beelzebub that I can’t write about with fluidity. Kanzaki and Hanazawa have been shipped for the past few chapters and the indirect kiss via bottle seemed like the perfect way to give them more panel time. This is just more ammo for the romantic comedy fans that read this series and even if I don’t read the series for the romance, I have to admit it was funny. The rest of the chapter carried on in the usual way and luckily the pacing of the arc is quite fast. Were it to be slower, it would end up boring. With the only other romcom like pairings for this arc it only makes sense that Oga and Hilda would be saved for next chapter as the main event. The arc is a lot of fun to read and I’m sure all you shippers out there are having a field day. I don’t see there being a return to the main story in the near future, so continue to enjoy the jokes and all those red-faced girls while it lasts. Now we’re back to the main battle so to speak. I never expected the focus to be off Kagami and Kise for too long. The battle is heating up and now that the other team members have had their share of the limelight, the main attraction of Kise v Kagami is back on the main stage of this match. Both of these guys have come a long way since their initial encounter and now that Kise’s initial owning has stopped, the real battle of the skills and wills can commence. Interesting that Aomine appeared and gave an interesting monologue about fate. I’m sure people have questioned how one middle school could gather the five strongest members of that particular age group and this plot point would probably turn away a few readers from this series. Fate seems like an easy option to use an explanation for this, however another explanation would probably end up being just as unoriginal. Looks like Kagami is picking up steam and Kise’s going to have to step up his game in order to stop him. Kise is going to have to find another way to prevent Kagami from steamrolling through Kaijou without using up his last 2 minutes of perfect copy. Should be interesting! Definitely looking forward to a full on clash and possibly seeing Kise enter the zone. It’s finally serialised! The winner of last year’s Golden Future Cup finally got approved for a run in Weekly Shonen Jump. Gotta say, I wasn’t really anticipating this series. The one-shot that ran last year was average and only stood out because the others were just plain dull or badly executed. Then came chapter one of the series and now I’m interested. Having been reworked completely (with the exception of the main character’s design), Hungry Joker went from being an adventure type manga to a dark horror sci-fi series. 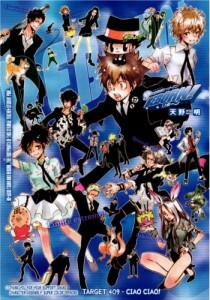 The main character is a mix of quirky mad scientist and evil genius – think Hiruma from Eyeshield 21 – and the story has changed to one of a mystery as opposed to…..whatever the hell the one-shot was trying to be. It was funny, intriguing and had some pretty gory action moments. In a nutshell, there was a bit of everything that I enjoy thrown into this chapter. Since it is a new series I can only say that its first chapter was decent and the science with more fiction feel the series established is very enjoyable. There is a mystery and there is an opponent already, much like what D.Gray-man did with Allen and Millenium Earl’s rivalry being disclosed early on. Definitely a huge step up from the one-shot. Good start, let’s see if it lasts. One Piece just resonated with me this issue, Plenty of emotion and Chopper’s presence really made this chapte something memorable. Naruto was just blah…simple as that. 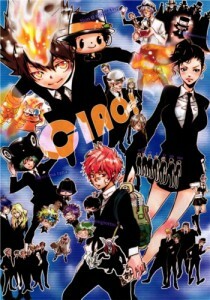 Ansatsu Kyoushitsu (Assassination Classroom) sold 121,058 copies for its first volume. Because of the release date of Weekly Shonen Jump volumes for that week, this figure only reflects 3 days worth of sales. Information online suggests the series is getting a mass reprint around three times the size of the first one. Looks like we have another winner of series in Weekly Shonen Jump.